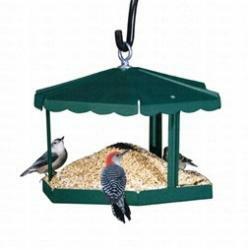 Measures 15"L x 12"W x 9"H.
I already owned one of these feeders and like the fact that they are nearly destructo proof from squirrels, raccoons, etc. 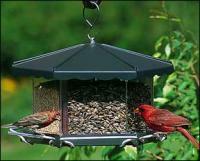 They accommodate many different sized birds and are easy to fill. 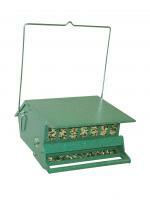 I also like the forest green color of the feeder. It is a well made and attractive product. 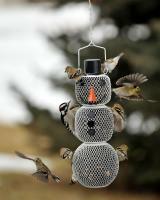 The birds seem to like it!